Chardham helicopter tour services you to Kedarnath Dham area from Agastya Muni to Kedarnath Dham is amazing. Chardham Helicopter tour services you to Kedarnath Dham area from Agastya Muni to Kedarnath Dham is amazing. Chardham Yatra which is famous among the nature lovers as well as pilgrims gets closed in winter season every year due to extreme weather conditions. You can take up the Char Dham Spiritual tour throughout the summers since you can get the Kedarnath helicopter tickets very easily. Chardham Tourism offer memorable tours throughout which pilgrims visit places of historical importance and temples. 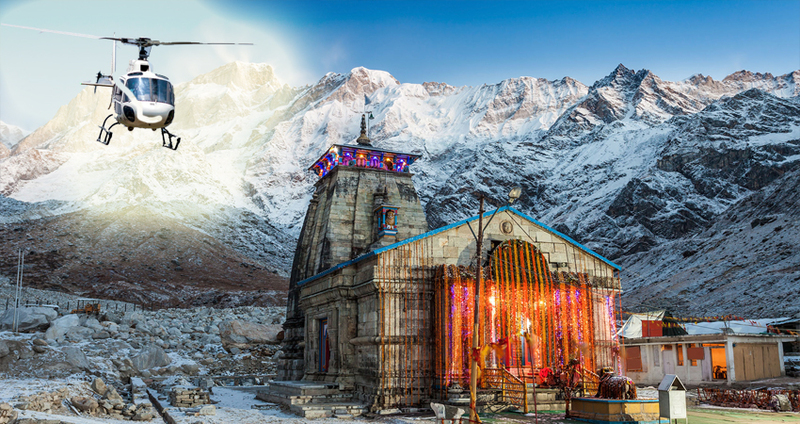 Chardham Tourism offers Kedarnath Yatra by Helicopter booking services for 2019. We are faithful to offer following facilities throughout Chardham Yatra by Helicopter, flight plan may be changed due to bad weather. Chardham Tourism is the budget tour planner for Kedarnath Tour. We have complete Kedarnath Tour Packages for every one as Kedarnath Dham Bus Tour, Kedarnath Ek Dham Yatra, Kedarnath Dham Yatra, Kedarnath Yatra, Kedarnath by Helicopter Tour and lots more. The Yatra by helicopter begins from Agastya Muni, lying 17 kms. from Rudraprayag and the total time is just about 45 minutes. Devotees who to take off from the unwieldy travel procedures should favor Yatra by helicopter. The devotees boarding the helicopter from Agastya Muni are offered a halt of approximately one and a half hours at Kedarnath for religious and adventure sighting.